Reliable Knife | The #1 Online Resource for Knife Reviews! Knives were the first survival tool for the earliest human beings, and that longevity has served the species well. The prehistoric tool that could both kill your dinner and then help you cook it has evolved into a basic cornerstone of both indoor and outdoor activity. The fixed-blade and folding-blade knives, with their differing strengths, bring versatility to the choice of what knife to use for what task. 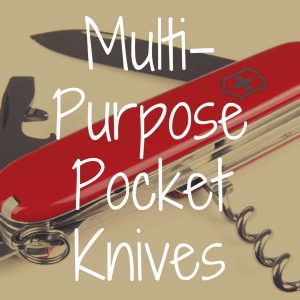 The versatility of the pocket knife has been a mainstay of general do-it-yourself activities around the house, yard, work, camp-site and more. With what other tool, short of having access to Batman’s utility belt or MacGyver’s brain, can you have a reasonable expectation of opening a Christmas package, cutting a rope, or saving a life, all just by reaching into your own pocket? The real challenge for finding the best pocket knife, or any kind of knife for that matter, is deciding on the blade that best suits your needs. 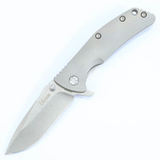 Knife Depot’s website, for example, gives detailed, fascinating information on the best pocket knives. 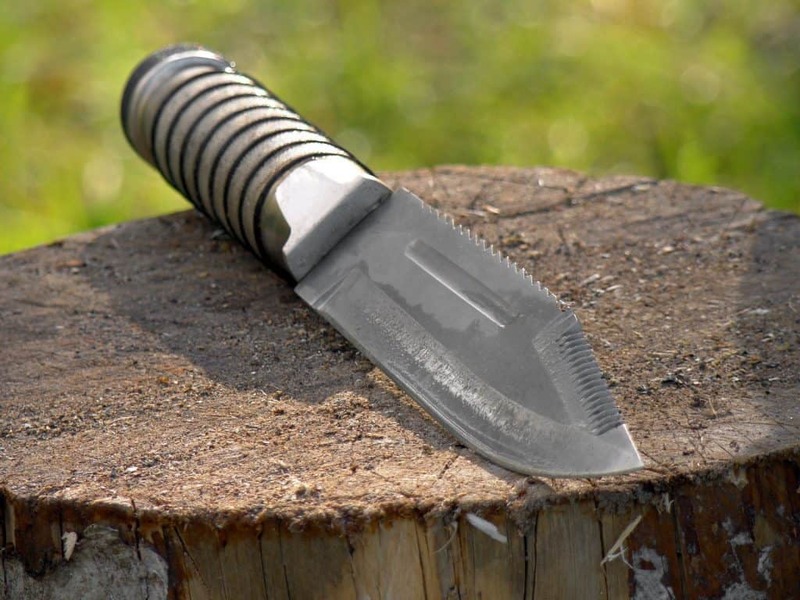 This article outlines the variety of knives that are available for use, whether you’re hard at work on an outdoor task or laboring inside the home. Below, we have created an interactive table that lists all of the knife-related articles and reviews that we’ve created. Namely, these reviews and articles focus primarily on pocket knives, fixed blade knives, kitchen knives, and knife sharpeners. You’ll be able to click on any individual review of a knife or sharpener below, as well as discover more general articles that discuss an overall topic pertaining to blades or sharpeners. On top of that, you’ll also be able to sort our list of articles and reviews based on title, item price (if applicable), blade length (if applicable), blade material (if applicable), and even average overall ratings (if applicable). We will continue to update this table as we publish more reviews. Best Pocket Knife for Whittling? 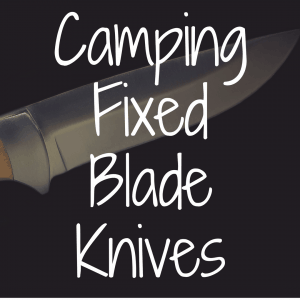 Families going camping, hunters bringing home a ten-point buck, and fishermen looking to catch some fresh water fish all find knives to be a handy accessory in their lives. Hunting knives are the outdoor equivalent of the chef’s knife. Typically carried in a sheath, the hunting knife can either have a fixed or folding blade. These knives are often the ones used to skin game. It’s important to have a hunting knife with a sharp blade, as well as a handle that allows for a secure grip, even when covered with blood, tissue, and fat from the animal. The price of a hunting knife typically ranges from $15 to more than $100. Survival knives, be it a Ka-Bar knife, a CRKT blade or something else more desired, are designed for the super-outdoorsperson. These large blades are up to tackling whatever the outdoors can dish up, whether it’s for self-defense against an angry animal or attacker, or simply cutting through thick firewood, or even to helping you in creating a make-shift shelter in the woods. You’ll likely pay anywhere from $12.99 to $165 for a quality survival knife. The machete, with its wide blade, is the knife that does battle with the vegetation that gets in the way of the outdoorsman. Machetes are used for chopping firewood, cutting through brush, and also cutting food. There are also knives that do it all, and go right back in your pocket when the job is finished. 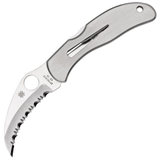 Utility knives contain multiple blades to provide assistance with a variety of tasks. Designed in the manner of the famed Swiss Army Knife, these knives may also include small scissors, a nail file, screwdrivers, and a bottle opener. The cost of a utility knife runs from $5 to almost $300, depending on the brand name and quality. The tactical knife is the classic Clark Kent/Superman tool. One minute you might be using it to open a package, and the next thing you know, you’re armed and ready for action in true superhero style with a knife that can provide you with the self-defense weapon that you need. 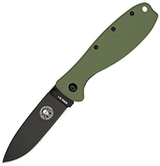 As with the utility knife, costs of a tactical knife can run from $5 to close to $300. These knives serve a dual purpose, which gives them an added value for use inside the house as well as outside. 1) Chef’s knives, also known, logically enough, as cook’s knives, are acknowledged as the workhorse of the kitchen stable. They slice, dice, mince, and chop, depending on the task. The most popular length is the 8-inch chef’s knife, but sizes range from 6- to 12 inches.The deciding factor for the knife that’s right for you is to find the one that feels most like a natural extension of your hand. You don’t want to feel like Edward Scissorhands when you’re chopping onions, so make sure that you choose for comfort and efficiency.While all knife purchases require thought and research, the quest for the perfect chef’s knife is especially important. The best blade for your knife is high-carbon stainless steel, so that it keeps its edge, does its work, and doesn’t discolor. This will increase the price of the knife, but it’s worth the extra expense.Chef’s knives can be found for as little as $25, all the way up to $300. 2) The paring knife is the tool that’s most adept at peeling an apple, for example, because they’re small enough to move with the shape of the fruit. 3) Carving knives, that mainstay of Thanksgiving dinner, have blades ranging from 8 to 14 inches in length. 4) Utility knives come into play when you need the “just right knife” that’s not as big as a chef’s knife but not as small as a paring knife. 5) Bread knives, with their serrated edges, are the specialists of the knife kingdom. Their task is to slice a loaf of bread all the way through a thick crust, and this they do to perfection. 6) Fillet knives are used to remove bones and skin from fish. 7) Boning knives are used to cut around the bones of poultry and meat. 8) Cleavers are used not for cutting, but for powering their way through bones and joints of a piece of meat. 9) Steak knives are often but not always serrated, and are used for steaks and roasts. 10) Specialty knives such as cheese knives, garnishing knives, grapefruit knives, and tomato knives, do exactly what their name suggests. The knife has been a basic human tool for so long that we sometimes forget that, whether the blade was wielded by Nung the Neanderthal or a Navy SEAL, the key factor for success is the sharpness of the blade. All that use is going to dull your blade, and dishwashing detergent chemicals also have a negative effect on knives. If you’re careful to use the knife for the task for which it was designed, and if you remember that, when preparing food, avoid a glass or marble top cutting board, you’ll extend the life of the blade. But eventually, the blade will need to be sharpened, and that’s when you have to decide whether to sharpen your knife manually or with a quality electric knife sharpener. If you choose the ceramic knife sharpening method, for example, you have a minimum of maintenance for the stick, which only needs to be cleaned with cleanser. The angle of the blade needs to be 10 degrees, or the width of a book of matches. Then slice the blade of the knife down the ceramic stick on one side, then on the other. Work the knife with medium pressure. A water sharpening stone will need to be lubricated with water. You can lubricate an oil stone with mineral oil. If you’re using a sharpening stone, you will apply one side of the knife’s edge to the stone as if you’re cutting it. When you’ve finished with one side, do the other. Be sure to keep steady pressure, and maintain the angle (typically 20 degrees), while sharpening. It may take a little time and effort before you’re able to maintain the consistency of the angle, but keep practicing. Never give up. Perhaps you don’t want to sharpen your knives by hand, and you’d rather have a machine do it. There are many electric sharpeners from which to choose. Knife sharpeners that are electric are quite easy to use, often equipped with magnets that that provide guides for the process. The recommended models for electric sharpeners have diamond abrasives. A quality knife sharpener can cost around $100 or more, but will keep your knives sharpened for a long time. Several drawbacks for the electric sharpener are the noise it emits while working, and the fact that it takes up space in your kitchen. People who know knives have their preferences. As you become more adept at using your knife, you may want to hear from others on the topic of knife sharpening. The best knives have sharp blades, so that means that they’re inherently dangerous if not properly stored. But you need to be sure that you’ve stored your knives in an easy-access location so that they’re close at hand for when you need to use them. 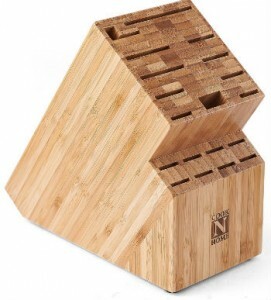 A knife block keeps the blades out of contact until they’re taken out for use. Be sure that the knives are dry and clean when put into the knife block to avoid cross contamination. Knife strips are magnetic, and the metal part of the knife attaches to the strip to keep the knives out of the way but accessible. A drawer tray for knives keeps them in one place, and out of casual reach. This is especially helpful to parents who have children walking or running around the home. The knife sleeves in which the knives were originally contained can be used to keep the blade out of harm’s way, while protecting the knife as well. Outdoor knives must also be maintained, and it’s important to thoroughly clean them after they’ve been used and abused. Using a cleaning product specifically designed for your knife certainly is helpful here. Also, don’t forget to clean the handle, as well as the blade itself. Hunting knives are often stored in a sheath, but if you plan to store your knife for an extended period of time, clean it, dry it completely, then wrap it in paper. Store the wrapped knife in a plastic bag, using a package of desiccant so that any moisture is absorbed. Remember that your knives need to be kept sharp as part of the maintenance process. What do I want to use the knife for? Where will I use the knife, and do I need an EDC knife? Still not sure of what’s the best pocket knife or kitchen knife or tactical knife available on the market? 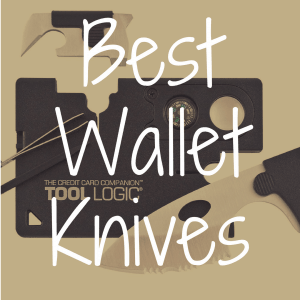 Then check out Popular Mechanics, which lists the 7 knives that you should own. After evaluating the charms of the Swiss Army Hiker, the Leatherman Rebar, the Sod Buster Jr., the Masamoto VG 8.2 inch Gyutou, the Stanley Classic 99 Utility Knife, the Gerber Gator Bolo Machete, and the Ka-Bar Becker Companion, you’ll feel as though you’ve had a crash course in Knifeology 101.